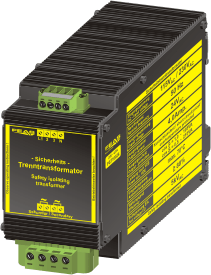 The Safety isolating transformer of the PST100 series are powerful and robust transformers to power devices with low alternating input voltage. 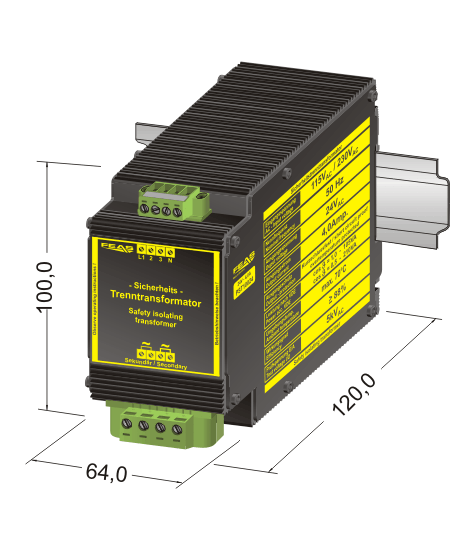 The PST10024 transforms AC line voltage into short circuit proof 24V -output voltage, suited for AC the consumer. The input voltage can be 115V or 230V. Due to the uncomplex circuit arrangement the device shows a long life span and a high degree of efficiency (>80%). Because of its robust design, casted in a rugged aluminum housing, it is particularly suitable for being used in rough industrial environment, e.g. in shipbuilding.